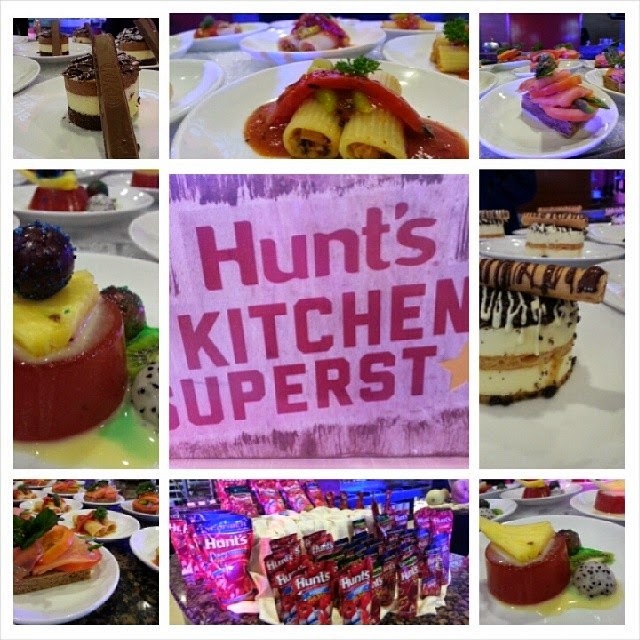 Event: Be a #Hunts #KitchenSuperstar! The hunt is over for the Kitchen Superstar! I believe moms and ordinary individuals can beat the chefs in cooking sometimes. I've seen it time and again watching Discovery Travel and Living's "The Taste" and yesterday at the launch of Hunts Kitchen Superstar. Hosted by RX DJ Delamar Arias and Chef Gino, the event featured cooking demo of Delamar who's not too proud of her cooking. 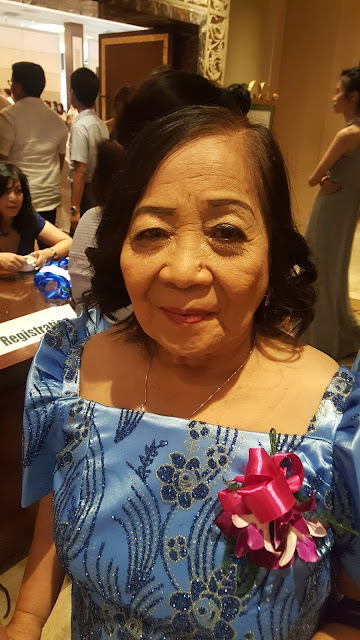 At FAB Restaurant in Holiday Inn Ortigas, the buffet of food served with Hunts famous tomato sauce varieties gave us all ideas how to perk up an old recipe. Aside from their yummy recipe notes on Facebook and at their website, they'll be introducing webisodes featuring Hunts tomato and spaghetti sauces in Kitchen Superstar. 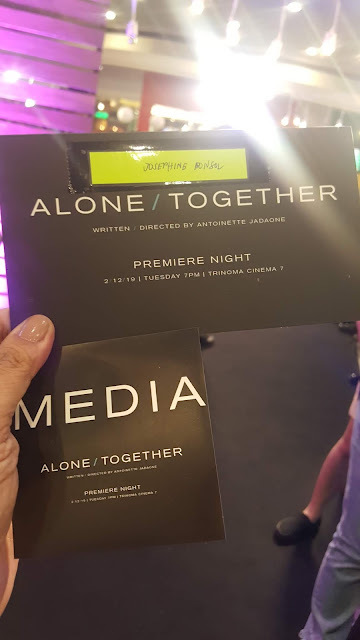 The webisodes will be hosted by Inez Bernardo, a home-cook mom in a series that aims to assist moms preparing creative and delicious Hunt's-based dishes that the kids and the family will definitely love. Delamar, a home-cook mom showed us how to prepare Pork Estofado with Hunts and we all had a taste of her delicious Filipino favorite. It reminded me of fiestas in the barrio and the cravings to eat more rice. A few moments later, we were invited to be in teams cooking our own Hunts recipes. I wanted to be with everyone but the crazy bunch at my end was just irresistible so I joined them in cooking our Hunts Spanish Sardines Pasta. Four groups were competitive and we were just having fun talking about how we also cook our sardines pasta at home. 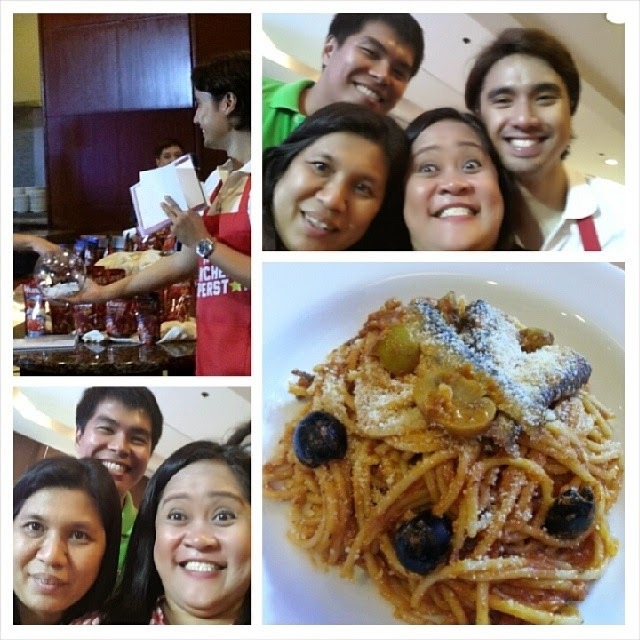 Kirk of KulayLife and Lariza were just happy and we all had fun sharing our Spanish Sardines Pasta to everyone. Towards the end, we were surprised at the taste. 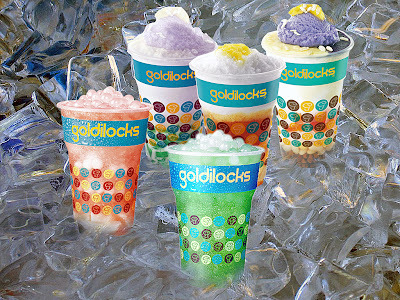 It's sweet, salty and tasty with a spicy kick at the end. We did a great job and we will definitely use the same recipe using Hunts Tomato Sauce to serve our family and friends at home. I was so lucky to win in the raffle (an overnight accommodation in Tagaytay). It was a very happy post-birthday gift and I guess my patronage to always buying Hunts paid off this time. I love using Hunts in my own caldereta and pochero. Hunts will be bringing the Kitchen Superstar soon in supermarkets and barangays so watch out for them soon! 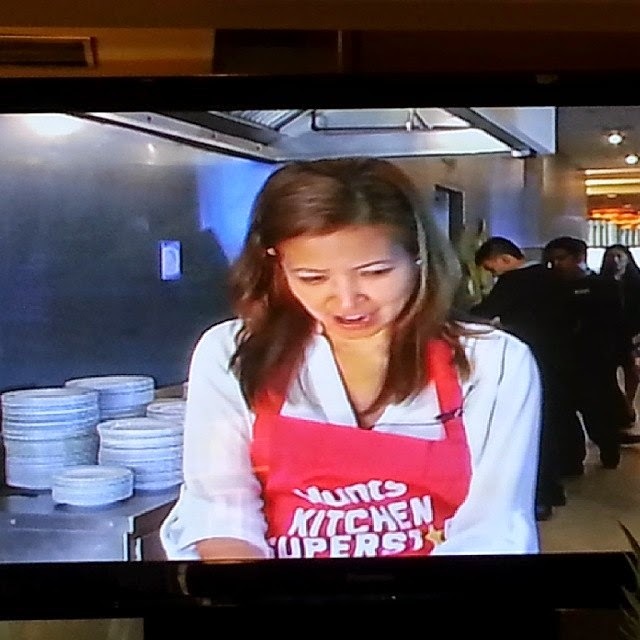 I will definitely watch the webisodes and learn more dishes at https://www.facebook.com/YummyHuntsPH. Visit www.yummyhunts.com for more recipes and promos.